The 46-meter tall Soyuz U rocket lifted off from the iconic Site 1/5 launch pad at 5:58 UTC, rising into clear skies over the Kazakh steppe for a speedy trip into orbit. The rocket’s four liquid-fueled boosters dropped away after two minutes and the large core stage handed off to the Block I third stage four minutes and 45 seconds into the mission using the typical hot-staging sequence. All eyes, however, were on the Block I as it marked the Return-To-Flight for this particular version of the seasoned upper stage after December’s Progress MS-04 launch failure. Fortunately, Soyuz U was able to head into retirement with a flawless orbital delivery as Progress MS-05 drifted away from the upper stage nine minutes into the mission after a smooth ride into orbit. Soyuz U entered development in the late 1960s using Sergei Korolev’s R7 design as a basis to create an upgraded version of the original Soyuz rocket. The overall objective of Soyuz U was the development of a standardized Core Stage for the R7 family as a number of different vehicles were flying at the time with the core being the only distinguishing feature. 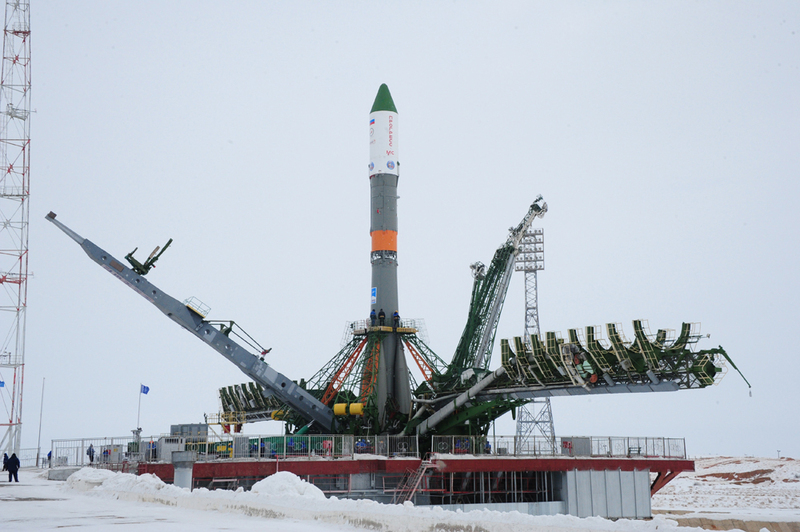 Soyuz U offered an eight-percent increase of payload capacity over the original Soyuz design. The Soyuz U debuted on May 18, 1973 with the launch of Kosmos 559, a 4.7-metric-ton Zenit reconnaissance satellite designed to capture imagery and return exposed film to the ground in a large re-entry capsule. 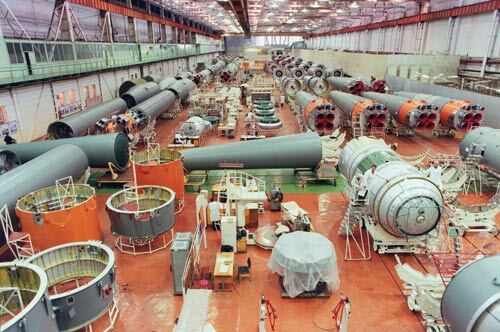 By 1977, stockpiled boosters of the earlier Soyuz variants had been used up and Soyuz U became the undisputed workhorse of the Soviet space program. Soyuz U completed its first crewed launch in December 1974 when it lifted the Soyuz 16 crew into orbit, entering a regular role in Russia’s human spaceflight program for the next three decades. The launcher lifted the Soyuz 19 spacecraft for the Apollo-Soyuz Test Project in 1975 and ferried crews to and from Russia’s Salyut and Mir Space Station as well as the International Space Station. Soyuz U made its final crewed flight in April 2002, handing crewed missions to the Soyuz FG that is largely based on the Soyuz U but hosts improved engines. 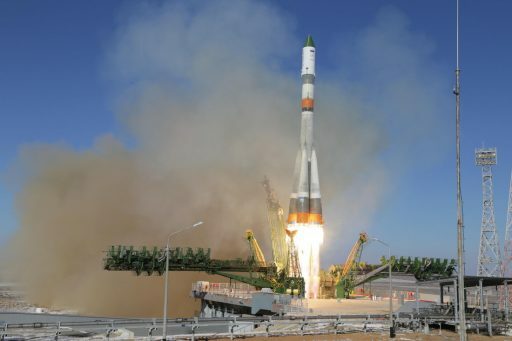 Soyuz continued flying in recent years, primarily with Progress cargo vehicles after regular satellite launches began shifting to the modernized Soyuz 2 variant starting with that vehicle’s inaugural launch in 2004. Soyuz 2 hosts a largely upgraded upper stage structure and employs modern navigation systems to make the rocket more flexible, also offering the option of flying with a higher-performance third stage engine. 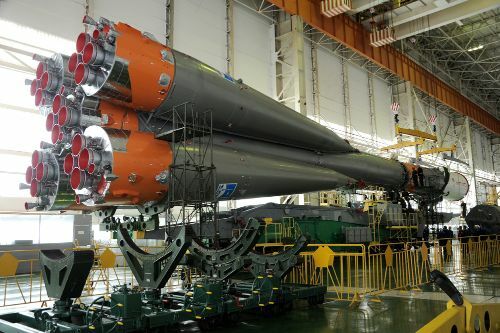 With Soyuz 2 entering regular service, Soyuz U was declared obsolete and the final order for rockets was received by manufacturer TsSKB Progress in 2014 for a soft transition to the Soyuz 2-1A that serves as the direct replacement of Soyuz U. 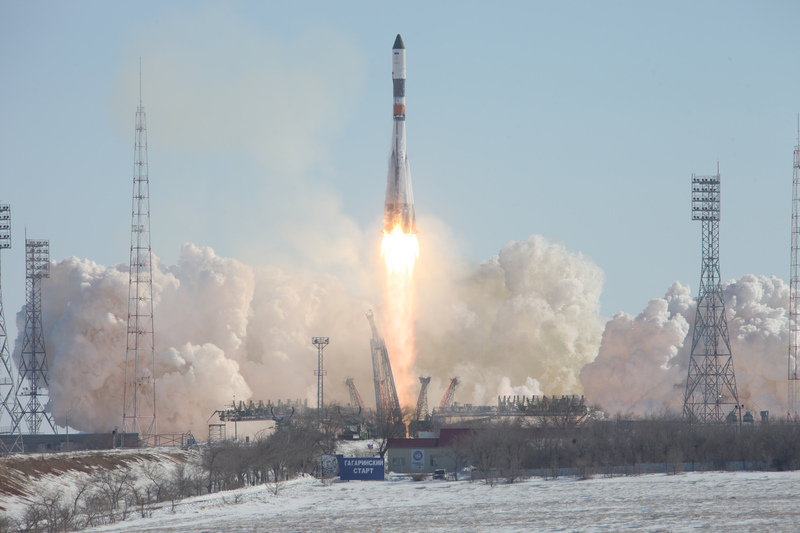 For record-keepers, Soyuz U flew 786 missions – 765 successes and 22 failures, adding up to 787 as Soyuz T-10a represents a special case of a launch vehicle failure without liftoff taking place. Counting down to a nighttime liftoff in 1983, Soyuz burst into flames after a fuel leak and collapsed in a ball of fire only seconds after the Soyuz spacecraft activated its escape rockets to move the two-man crew to safety. Soyuz U holds the record for the most-flown rocket and the longest-serving launch vehicle with an active career of 43 years and 9 months. It also set the record for most launches carried out in a calendar year – flying 47 times in 1979. This record will likely be challenged by commercial space contenders that aim for launching missions on a weekly basis, though are still several years away from actually achieving what Soyuz already did decades ago. Over its four-decade career, Soyuz U established a launch success rate of 97.2% – becoming a figure for industry standards aimed for by many rockets that followed. Soyuz U was not without failure, though, including dramatic low-altitude mishaps over the Plesetsk Cosmodrome in 1982 when lifting an Argon satellite and in 2002 with Foton-M No.1. 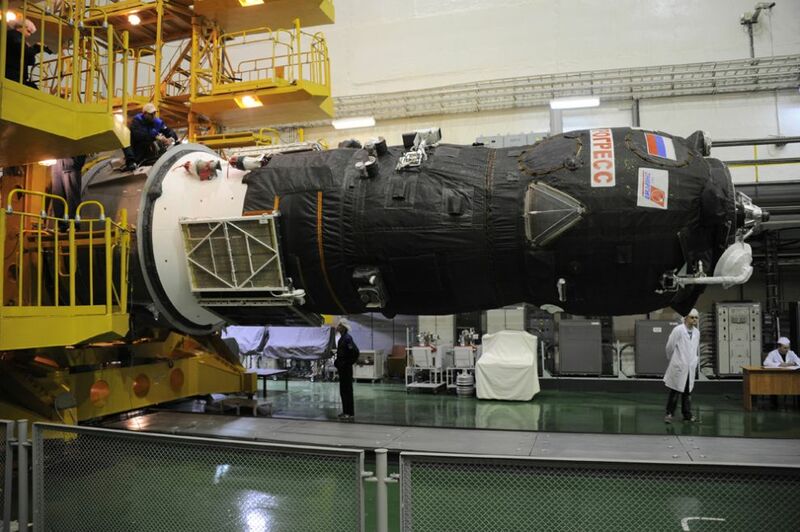 Most recently, Soyuz U suffered a failure on its penultimate mission on December 1, 2016 when its RD-0110 upper stage engine encountered a catastrophic failure, either due to ingestion of foreign components or a manufacturing flaw within its high-pressure oxidizer pump. It was decided to ship the final Soyuz U Block I upper stage back to its manufacturer to be re-fitted with an engine from a different lot than the accident vehicle, slipping the launch from an early February target. 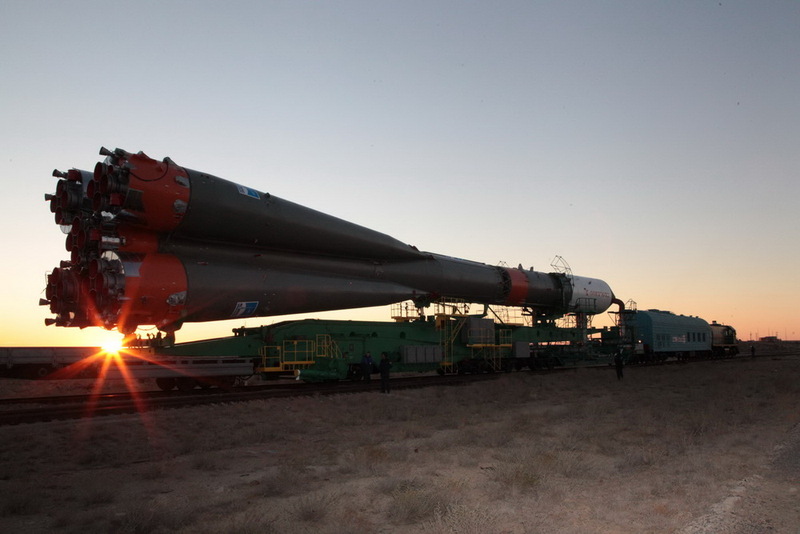 With the stage back at Baikonur, Soyuz U underwent final assembly on Sunday and was moved to the Site 1/5 launch pad Monday morning for the typical two-day launch preparation flow. 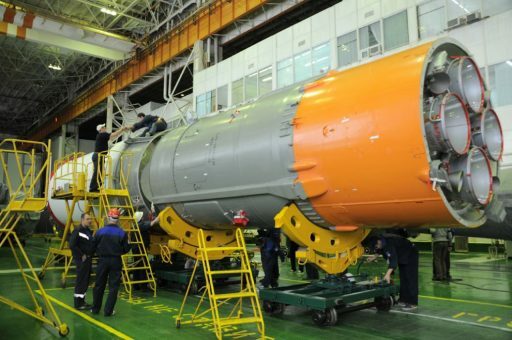 The Progress MS-05 launch also acted as a confidence builder for upcoming crewed launches of the Soyuz FG that uses the same type of Block I upper stage. 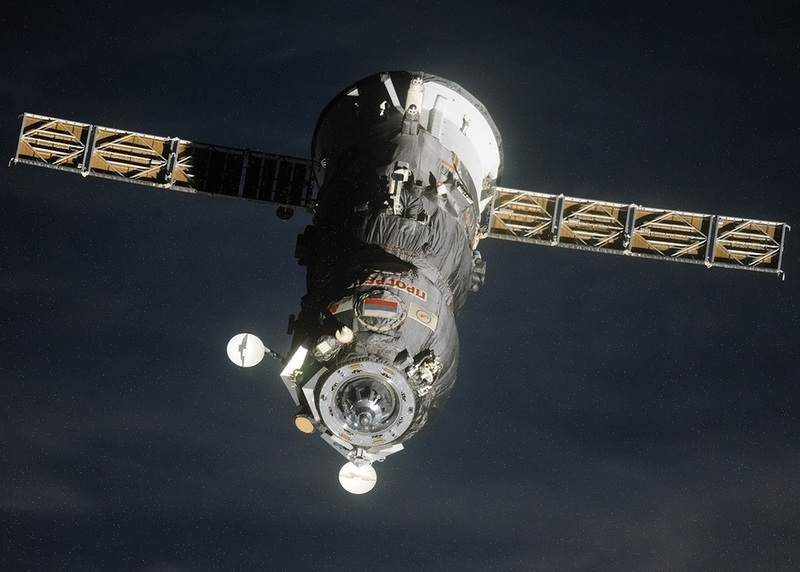 Progress MS-05 is the 157th Progress mission, the 68th in support of the International Space Station, carrying approximately 2,395 Kilograms of supplies to the orbiting laboratory. The cargo is comprised of 700kg of refueling propellant for ISS, 420kg of water, around 50kg of pressurized gas to top up the Station’s atmosphere and roughly 1.2 metric tons of dry cargo. 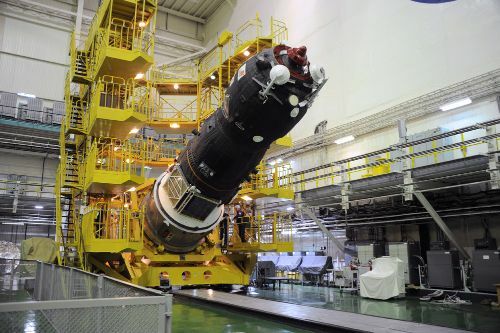 Among the dry cargo is the second Orlan-MKS space suit to enable more flexible EVA operations from the Russian Segment; the first Orlan-MKS was lost in the MS-04 launch failure. Also aboard Progress MS-05 is a 360° video camera setup, experiments looking at the effects of spaceflight on different viruses, and a number of special goodies for the ISS crew including 50 portions of oatmeal, smoked sausage, and 15 Kilograms of fresh fruit (apples, oranges, grape fruit). Soyuz U’s swan song was preceded by the typical eight-hour countdown sequence starting with a final round of tests before the Russian State Commission approved the rocket for tanking. 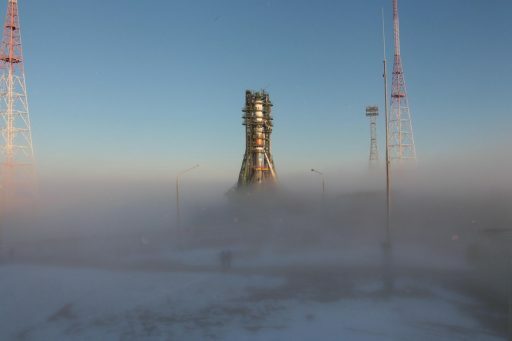 The two-hour fueling sequence picked up four hours prior to the opening of the day’s ten-second launch window to fill the tanks of Soyuz with 274 metric tons of rocket-grade Kerosene and -183°C Liquid Oxygen. The boosters and core stage also received Nitrogen to pressurize the tanks during flight and engineers filled up Hydrogen Peroxide tanks to be fed to the engines and drive the turbopumps. The sun came up at the Site 1/5 complex while Soyuz was being loaded with its dose of highly energetic propellant. 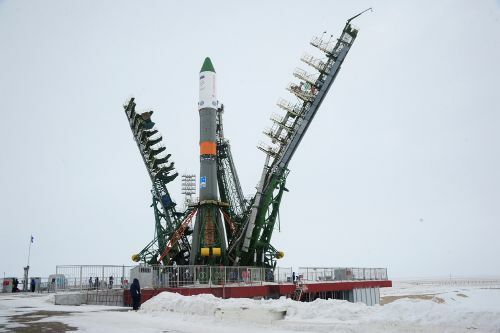 Standing tall atop its launch pad, Soyuz U was revealed when the two halves of the service structure lowered to their launch position in the last hour of the countdown followed by the evacuation of the complex. The Progress spacecraft made its transfer to internal power before Soyuz headed into the six-minute automated countdown sequence comprising a highly choreographed set of steps to transition the rocket to an autonomous configuration. Soyuz purged its engines with inert nitrogen to ensure a clean ignition, next was the pressurization of all 12 tanks on the vehicle before Soyuz was handed control at T-1 minute to handle the final events leading up to ignition. Soyuz came to life at T-20 seconds when its engine pumps began spinning up and a blaze of fire erupted from the base of the rocket as the RD-117 booster engines and the RD-118 on the core soared to a liftoff thrust of 420 metric tons, overcoming counterweights to lift the rocket off the ground. 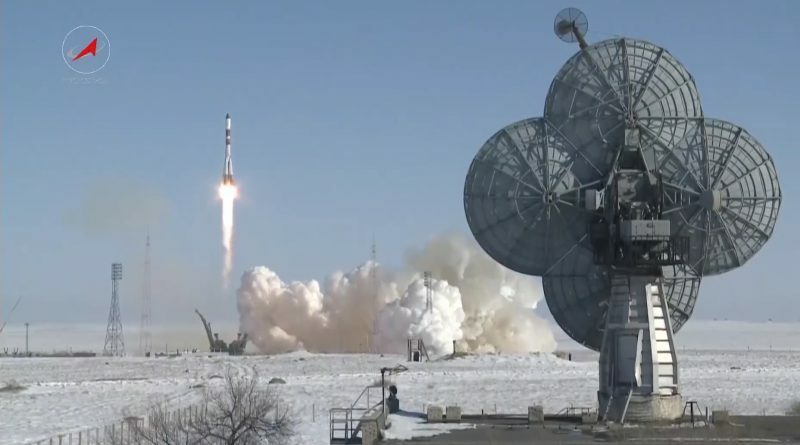 Soyuz U took flight at precisely 5:58:33 UTC, climbing into clear sky over the Baikonur Cosmodrome in frigid temperatures well below freezing. Leaping off the ground, Soyuz ascended vertically for a few seconds before beginning the pitch-over to the north-easterly departure path for missions to the Space Station, flying towards the Russian-Kazakh border. Burning propellant at a rate of 1,600 Kilograms per second, Soyuz quickly passed the speed of sound and encountered Maximum Dynamic Pressure around the T+1-minute mark as it made its way out of the atmosphere. 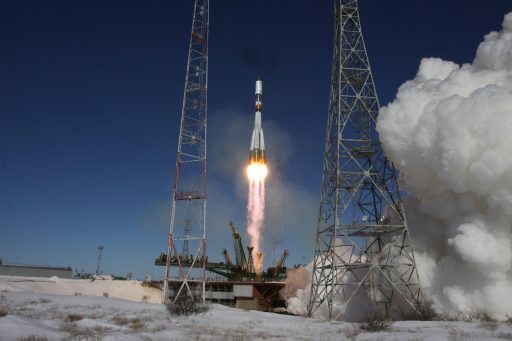 Real-time calls from the launch bunker indicated Soyuz was performing as advertised under the power of its core stage and four boosters that were tasked with accelerating the launcher to a speed of 1.5 Kilometers per second. The four boosters exhausted their propellant supply at T+1 minute and 58 seconds, shutting down their engines and, moments later, separating from the still-firing core stage – creating a phenomenon known as the Korolev cross, named after the father of the Soyuz rocket and only visible from the ground for a split second in clear days when the four boosters swing outward and form a cross with the core stage in the center. With the boosters sent to a crash landing 350 Kilometers from the launch pad, Soyuz headed on towards orbit powered by the core stage alone, generating a thrust of 102 metric ton force when flying in the rarefied upper atmosphere. 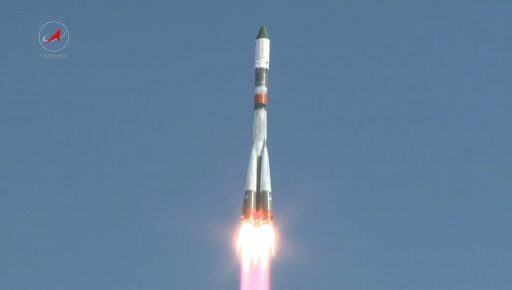 Soyuz dropped its protective launch shroud two minutes and 38 seconds after launch, revealing the Progress spacecraft for the rest of its climb into Low Earth Orbit. The core stage handed powered flight duties off to the Block I third stage four minutes and 47 seconds into the flight with core stage shutdown coming two seconds prior to the ignition of the RD-0110-powered upper stage and the pyrotechnic jettisoning of the 27.8-meter long core. Block I started out just over 150 Kilometers in altitude, at a speed of 3.9 Kilometers per second and was tasked with a burn of three minutes and 58 seconds to increase the vehicle’s velocity by another four Kilometers per second. Burning at a thrust of 30,400 Kilogram-force, the third stage was aiming for the standard insertion orbit of 193 by 245 Kilometers, inclined 51.66 degrees from where Progress could begin its two-day chase of the Space Station. 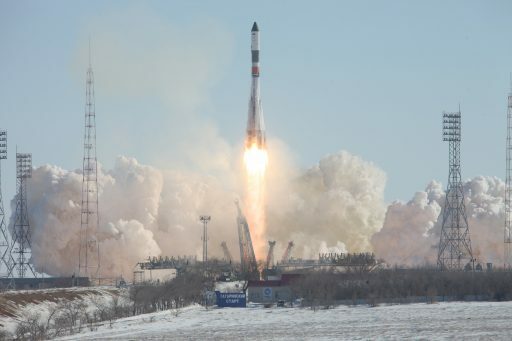 Engine shutdown occurred eight minutes and 46 seconds after liftoff and Progress was sent on its way three seconds later, safely in orbit after a flawless ride atop the Soyuz U booster. Immediately after its separation from the launcher, Progress began a sequence of time-tagged commands to deploy its two power-generating solar arrays and KURS antennas to come into play for Friday’s rendezvous with ISS. Mission Control quickly confirmed Progress was in good health, deployed all appendages and pressurized its propulsion system to begin firing the thrusters to null out residual body rates and enter a solar-pointed orientation. Per the standard 34-orbit rendezvous scheme, Progress will fire up its engine later on Wednesday for a pair of burns performed on the mission’s third orbit to lift the spacecraft’s orbit to 300 Kilometers – chasing down the Space Station from behind and below with another engine burn planned on Thursday to fine-tune the spacecraft’s approach to ISS. 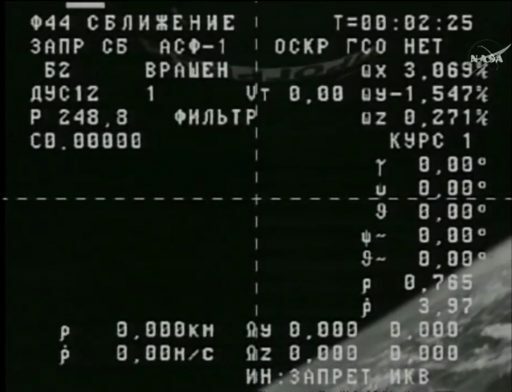 Progress will enter a fully automated rendezvous at on Friday to be guided into the vicinity of the Space Station for a flyaround maneuver ahead of a straight-in approach to its docking port on the Pirs Module with arrival scheduled at 8:34 UTC. Copyright © 2019 Progress MS-05 | Spaceflight101. All rights reserved.